Neutral to weak La Nina conditions are expected to persist through the 2016/2017 Australian tropical cyclone season. These conditions should result in a near to slightly above average frequency of Tropical Cyclones over the Australian Region, with about 8- 12 expected and 1-7 becoming Severe Tropical Cyclones. For more detailed outlook for the different regions in Australia i.e. Northwest Shelf and Timor Sea, Arafura Sea and West Gulf of Carpentaria, and the Coral Sea, please download the full report below. The download link will be sent to the email address provided below. 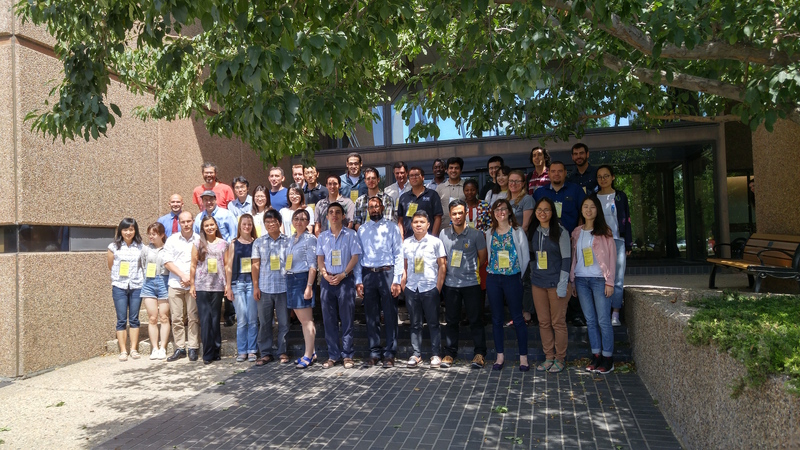 In line with Offshore Weather Services’ objective to be ahead in marine weather forecasting skills and technology, Dr Simon Caine, OWS IT and Numerical Modelling Specialist attended the WRF data assimilation tutorial in Boulder Colorado last August 1-3, 2016. Simon attended a number of lectures and practical workshop sessions on data assimilation in the Weather Research and Forecasting Model. He also visited the National Oceanic and Atmospheric Administration (NOAA) in Washington DC where he worked with NOAA specialists on applying the “genetic optimization package for the Generalized Multiple DIA” to the Wavewatch III model. The expected number of tropical cyclones over the NW Pacific region in the 2016 season is 17, which is below normal. These are expected to be of about normal intensity. About 8 tropical cyclones are expected to affect the South China Sea, which is well below the climate average. These systems are, however, expected to be above average intensity compared to the climate average. For more information, download the 2016 NW Pacific Tropical Cyclone Season Outlook. The current atmospheric and oceanic indicators and global climate models indicate strong El Niño conditions are expected to continue over the NW Pacific for the remainder of the 2015 tropical cyclone season. Based on the current atmospheric dynamics and the analogue years selected, the expected number of tropical cyclones over the NW Pacific region in the 2015 season is 23, which is close to normal. From the outlook of 23 TC formations, 17 have already occurred. The intensity are expected to be well above normal. About 9 tropical cyclones are expected to affect the South China Sea, which is below climate average. These systems are expected to be slightly above average intensity compared to the climate average. 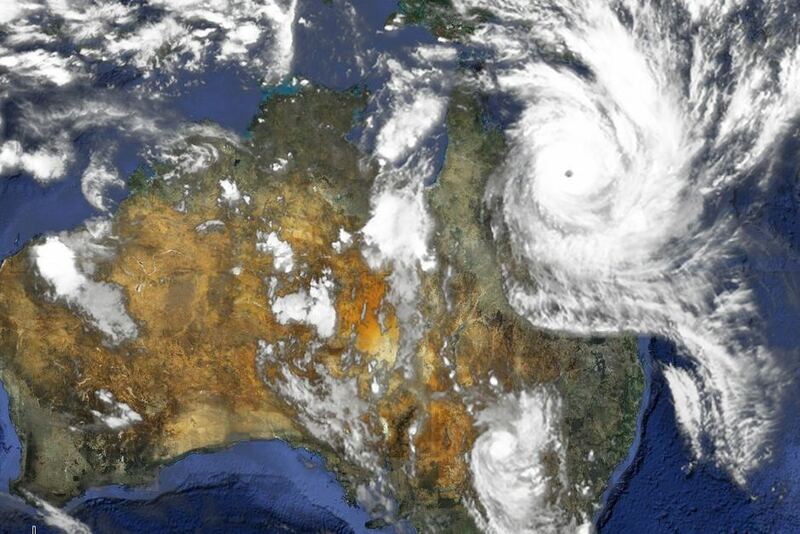 For more information, download the 2015 NW Pacific Tropical Cyclone Season Outlook. 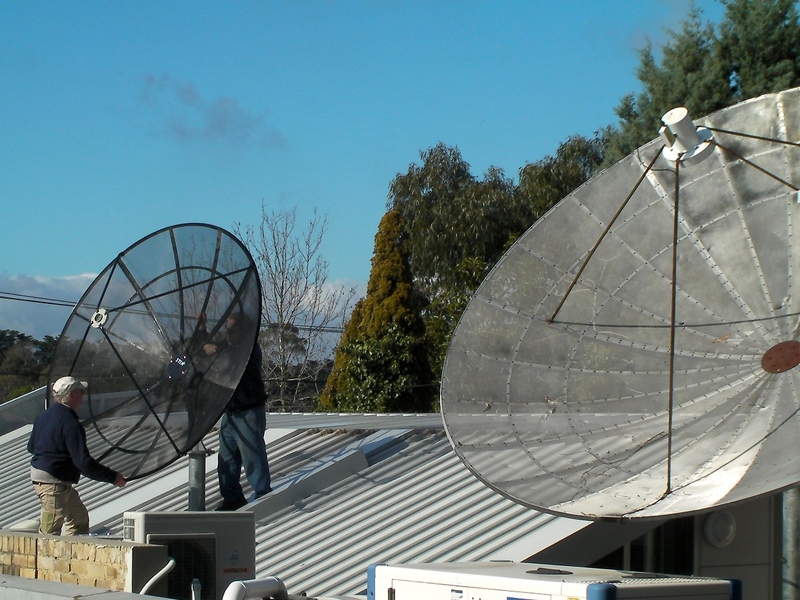 On the 03rd July 2015 OWS became the first commercial weather forecasting company in the Australian / Asian region to directly receive and process the new Himarawi-8 weather satellite transmissions. The JMA Himarawi-8 satellite will eventually replace the MtSat satellite that has been providing global satellite imagery for over a decade. The new H-8 satellite produces global images every 10 min in 16 frequency bands. This a great improvement on the 1 hour global images and 5 frequency channels produced by the MtSat satellite and will mean even greater accuracy in weather analysis, squall and tropical cyclone forecasting from the OWS forecasting team. 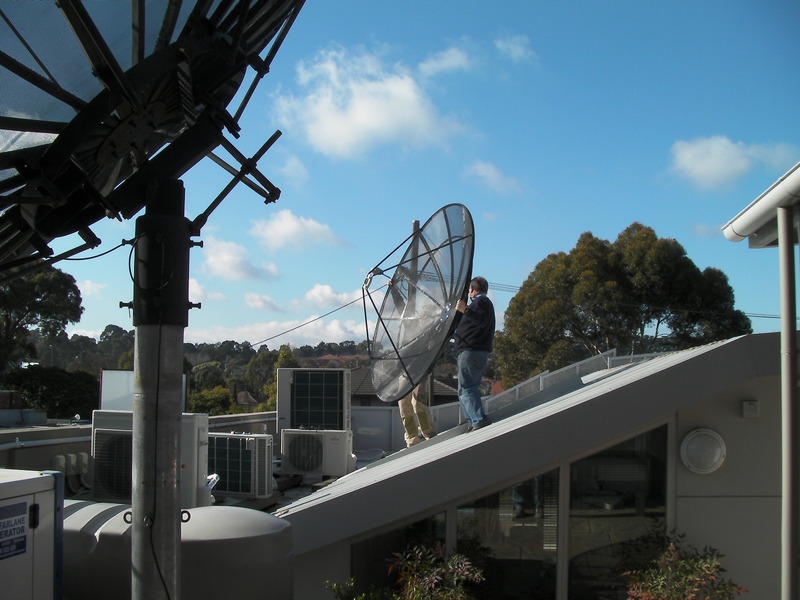 Offshore Weather Services installed their new 2.2m antenna on the roof of their forecast office in Melbourne ready to receive the first official Himawari-8 satellite images when they become available in early July 2015. 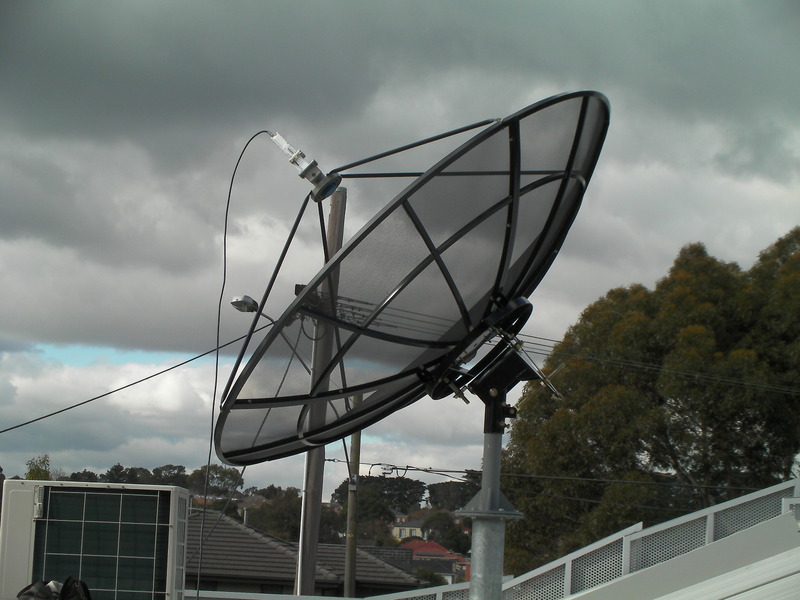 The Himarawi-8 antenna replaced the MTSat LRit antenna which was used by the Company as a standby / backup should anything fail on the primary MTSat HRit satellite earth station that OWS have enjoyed for over 11 years. Himarawi 8 will become the primary weather satellite used by OWS for cloud analysis, squall and tropical cyclone detection and tracking. With global images available every 10 minutes, and utilising 14 frequency channels Himarawi-8 is a major advance is satellite imagery reception and will lead to more accurate weather forecasts provided by Offshore Weather Services. The current atmospheric and oceanic indicators and atmospheric climate models are all signifying the 2015 NW Pacific Tropical Cyclone season will be an El Niño event. Due to the current high El Nino 3.4 conditions, the usual method of creating a seasonal forecast based on past years is not as effective as it requires a number of years with a pattern of similar conditions. As such, this interim report is issued with the full TC Season Outlook to follow in 1-2 months once conditions have become more stable and clear. In an El Niño, the NW Pacific can expect to have an increase in the number of Tropical Cyclones overall. However, there would be expected to be a general shift eastwards to over the central Pacific, and most systems would have a longer duration and greater intensity than the climate average. The eastwards shift would result in fewer systems affecting the South China Sea and far west Pacific, but the ones that do move into the region will have greater intensity. We can also expect some systems to form closer to the equator, possibly affecting southern Philippines/Sulu Sea region. Conditions are expected to stabilise by June-July so a full NW Pacific TC Season Outlook will be issued then. Offshore Weather Services will have a stand at the APPEA 2015 Oil and Gas Conference and Exhibition being held at the Melbourne Convention and Exhibition Centre on May 18-20, 2015. This is a great opportunity to come and see what world leading technology Offshore Weather Services brings to the weather forecasts we provide to the offshore industry and a chance to talk to our friendly Marketing team comprising Phil Atkinson, Angelo Portelli and Aila Aguilar about the wide range of weather and oceanographic products and services we can provide for you. We will be located at Booth 374 so please stop by for a chat. For meeting request please click the link below. The APPEA Oil and Gas Conference & Exhibition is the largest oil and gas event in the southern hemisphere with delegates coming from Australia and around the world to attend. The APPEA 2015 Conference program includes international keynote speakers, case study presentations, technical updates and panel discussions. The Australian Petroleum Production & Exploration Association (APPEA) is the peak national body representing Australia’s oil and gas exploration and production industry this website. Amongst the 80 full members are key leaders in the Australian oil and gas industry, accounting for an estimated 98 per cent of the nation’s oil and gas production. APPEA also has more than 230 associate member companies that provide a wide range of goods and services to the upstream oil and gas industry. Offshore Weather Services provided weather forecasting services and the on board weather forecaster for the installation of the 37,000ton Chevron Wheatstone gas production topsides over the NW Shelf, Australia. Heerema Marine Contractors Nederland SE (HMC) were contracted by Daewoo Shipbuilding & Marine Engineering to bring the topsides from the fabrication yard in Korea and do the installation to the SGS (Steel Gravity Structure) that had been pre-installed (by HMC) in early September 2014. The topsides were towed by three tugs and made good progress down the East China Sea and the east coast of the Philippines before passing through the Sulu and Java Sea on their way to the Wheatstone field. 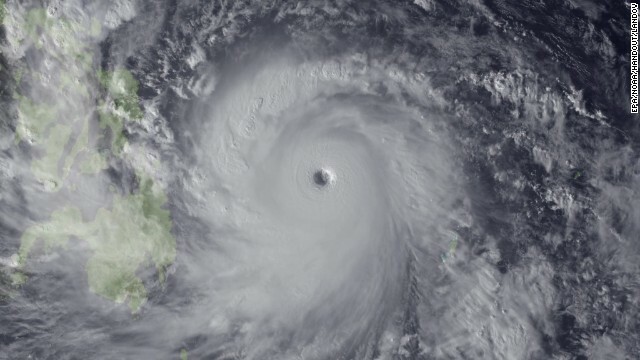 OWS provided the weather forecast services for this voyage as the vessels passed safely ahead of Super Typhoon MAYSAK over the North West Pacific Ocean and arrived at the Wheatstone location on the 08th April as another tropical cyclone (IKOLA) was dissipating 1000nm to the southwest of the site. Peter Wellby, Offshore Weather Services Operations Manager sailed with the HMC installation engineers from Dampier on the command vessel Southern Ocean a few days before the arrival of the topsides and provided the site weather forecasts, detailed daily weather briefings and consultation leading up to the float over operation. Working closely with the HMC Marine Engineers and using sophisticated atmospheric and wave models, spectral wave analysis techniques and vessel motion simulation suitable weather ‘windows’ were determined. The weather conditions during the actual operation were near perfect with long period W’ly swell produced a few days earlier by TC IKOLA decreasing and the prevailing SW’ly swell from the Southern Ocean at a seasonal low. Even the wind Gods were kind producing light, cooling winds that provided a comfortable working environment. This is the third float over operation that Peter has worked closely with HMC in achieving a safe and successful operation. The other operations were the Malampaya – Shell, Philippines and North Rankin B – Woodside, Australia. 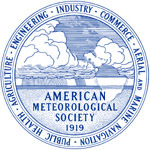 In January 2015 Offshore Weather Services Managing Director and Certified Meteorological Consultant, Peter Wellby attended the Annual American Meteorological Society Conference held this year in Phoenix, Arizona. As usual the conference was well attended and informative and allowed an opportunity to catch up with acquaintances and to be informed about the latest developments within the meteorological, oceanographic and climate disciplines.